Dr Vasanthi Anand, an ENT specialist started to explain to us about the popular taboos that are preventing early detection and cure. The major taboo is that when a kid does not speak till the age of 2, people just call him/her as a slow learner and give examples of grandparents or relatives who learned to talk late. She pointed out that people get tested at the slightest hint of blurred vision but do not do the same in case of problems with hearing. She stressed on how this should change and how a screening test needs to be routine just like other medical check-ups. 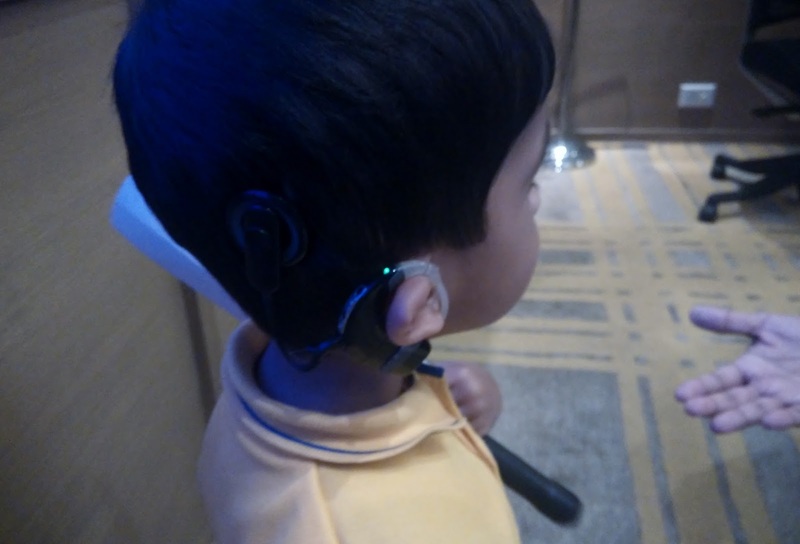 Many of the children suffer from hearing loss due to issues with the hearing nerve. While sign language and hearing aids are largely used, it is not an effective permanent solution. 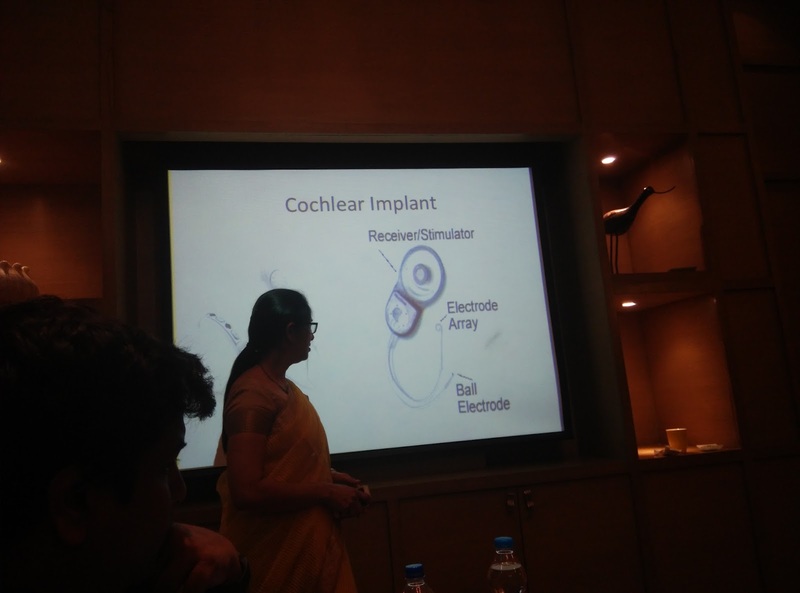 Dr. Anand explained to us the implant process which starts by detection followed by the implant and ends with a therapy session along with lip reading to familiarize the implanted with sounds. 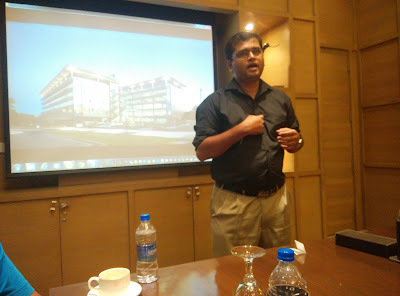 Dr. Anand also told us that we should clarify our doubts with the ENT specialist or any of the people who got the implant instead of just assuming negative things. She then introduced us to Shobith, the 4 year old who was diagnosed with hearing loss 6 months ago. We got to listen to Shobith speak and his mom explained to us about how the implant has changed their life. Speaking of the cost of the entire implant process, Dr. Anand mentioned that it will cost anywhere between 5L to 12L including surgery and post-surgery treatments. When discussing the affordability to common man, Dr. Anand pointed out that it is a better investment than saving up or taking loan for weddings. 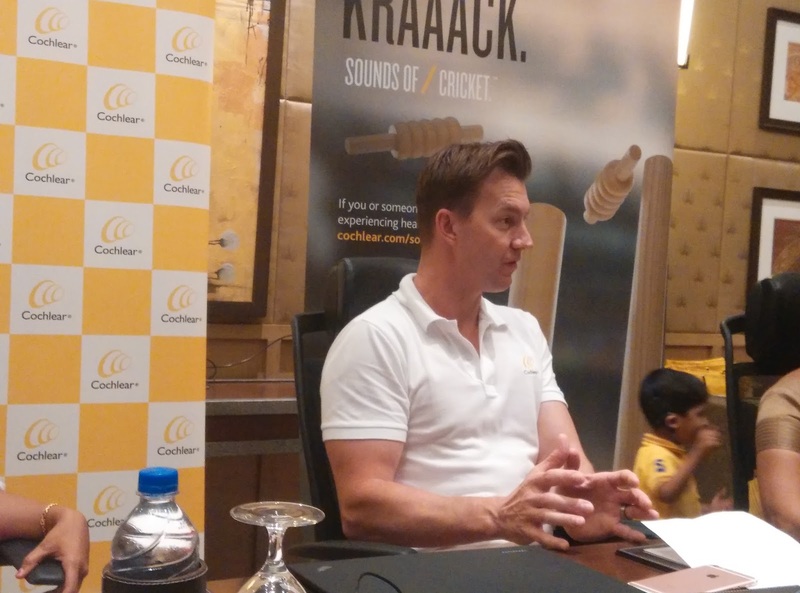 Brett Lee, the Cochlear™ Hearing Ambassador later talked to us about his experience of working with the hearing impaired children and how various countries are working towards solving this problem. 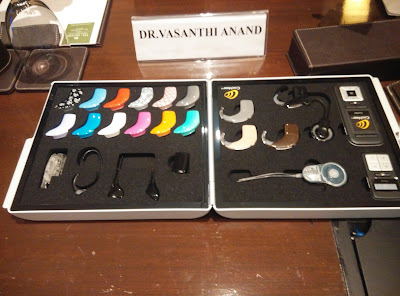 Regarding India he said that we are still in the early phases where we need to have a mass movement to get people tested and accept that it is ok to get a surgery done and that hearing loss is curable. He also narrated an incident where his son fell and was not able to hear properly through one of the ears. Relating to Cricket, he called the surgeon as the captain of the team with other doctors as support staff and the family as the major players in the team. 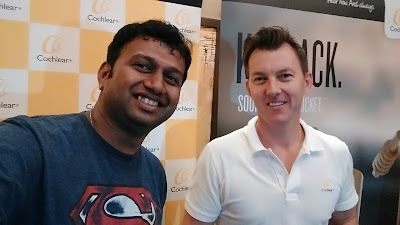 He then made a joke about how the umpires need a Cochlear implant to give the right caught behind wicket. 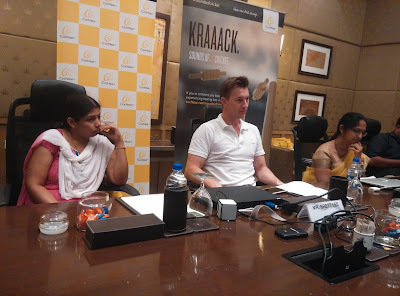 The event ended with all the bloggers getting an autographed poster and a photo with Brett Lee himself. It feels good to be associated with a noble cause that aims at helping every person hear the amazing world of sounds. And as its IPL season now, let’s hope we all enjoy the #SoundsOfCricket.